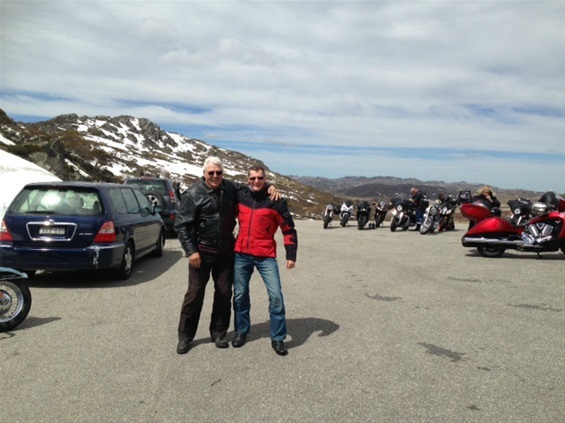 CRAB members again participated in 2016 Snowy Ride for the Steven Walter Children's Cancer Foundation on the 7th November 2016. The 16th running of the event was very successful with 2207 riders and $250k was raised for this year. The Hermit CRAB's had 9 riders/pillions taking part. 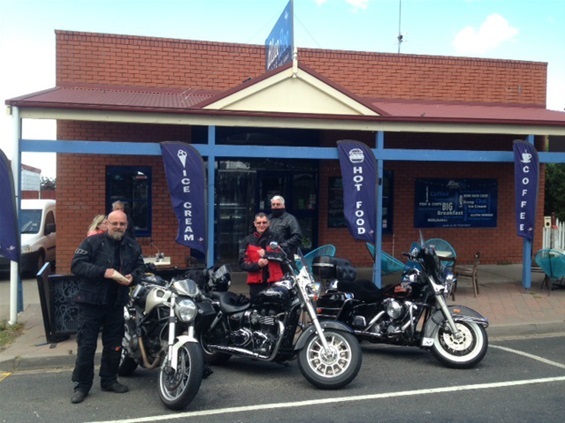 On the Thursday half of the group travelled up via Bright overnight, whilst the other half went via Lakes Entrance. 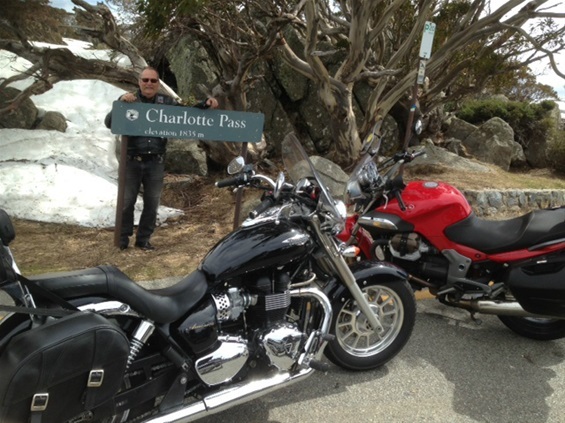 The lakes group got to Jindabyne early afternoon on the Friday so decided to take a run up to Charlotte's Pass as the sky was clear. This proved to be a good decision as the ride was great and there was a lot of snow on the ground (but not the road!) from recent falls, and the next day it snowed above about 1400 meters (Charlotte's pass is 1840 meters). We all settled in later at Thredbo Village where we had booked 2 apartments to stay in. This was great as it was right in all the action. Friday drinks at the pub, turned into Friday dinner at the pub, which turned in to a later stint in the nightclub where certain members not to be named (Steve & Bennie) took to the dance floor with gay abandon. 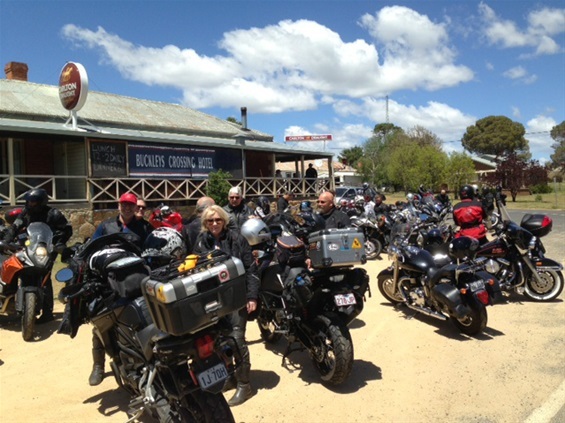 Saturday dawned and after breaky in Jindabyne we all headed off for a great ride collecting our stamps & visiting Berridale, Cooma & Dalgety (Lunch at the Pub) on the way. 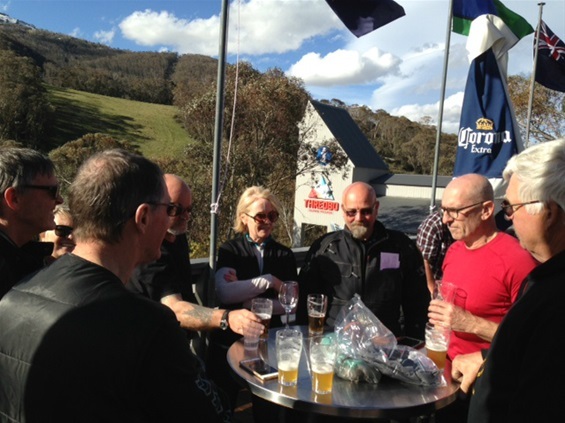 Back in Thredbo we enjoyed a few quite drinks and watched the speeches, presentations & raffle draw. As night fell a very spectacular fireworks display was put on over the valley. Not to late to bed in preparation for a long ride home on the Sunday. It needs to be noted here that the team "via Bombala" beat the team "via mountain roads" to the Bakery at Bruthen on the way home. A great weekend & ride for a great cause. Bring on the 2017 Snowy Ride which will be held on Saturday 4th November.